This limited edition book is composed of words taken from a journal kept in 1978 by Robert Gardner while he was making the film Deep Hearts and a series of Polaroid SX-70 portraits he made of Borroro dancers’ faces to see if there was any agreement as to what constituted the looks of a perfect male Borroro. Over 100 images were made at the time and yet only a handful were kept by Gardner: the men so desired to posses images of themselves that it was nearly impossible for him to retain them. 32 pages, 6 1/2 x 8 1/2, foil stamped recycled paperboard perfect bound cover with large folding inside flaps. 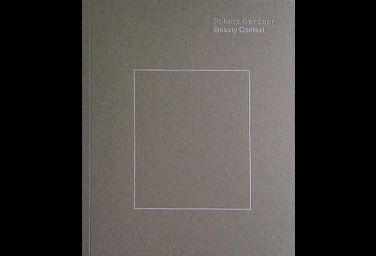 First edition of 250 copies signed and numbered by Robert Gardner, designed by Fogelson-Lubliner, printed February 2009 by Meridian Press.